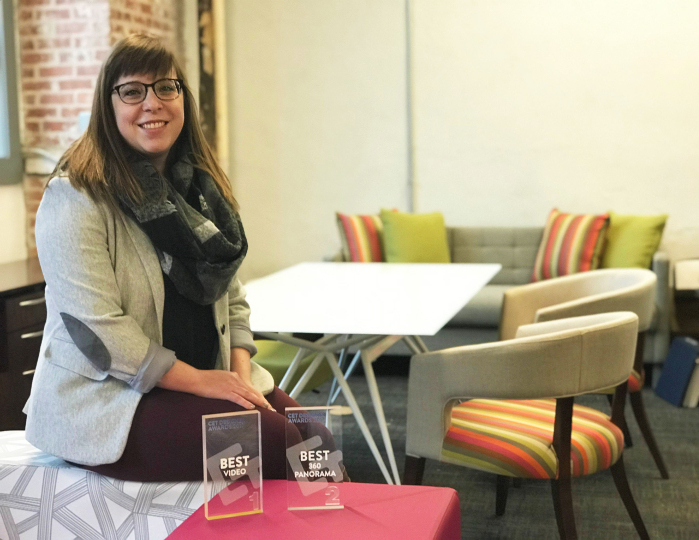 Configura’s CET Designer User of the Month, Kaitlin Davis, has been using the space-planning software just 10 months – but she’s quickly mastered the tool and earned two awards in the process. Last fall, Kaitlin was the top winner in the Best Video category and runner-up in the Best 360 Panorama category in the annual CET Designer Awards competition. 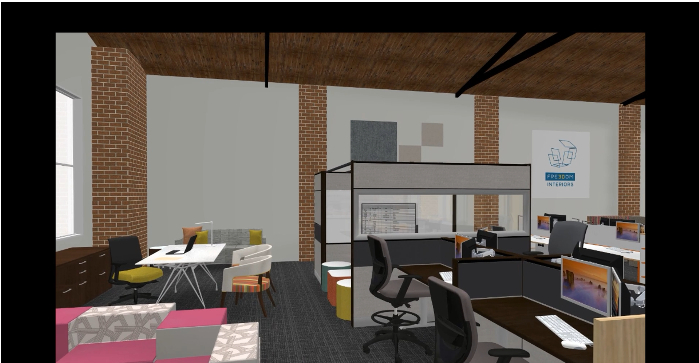 Kaitlin works for Freedom Interiors in Kansas City where CET Designer is the go-to software used in all aspects of the specification process – including for 2D drawings, 3D renderings, installation documents, virtual reality and fly-thru videos, and client presentations. Both of Kaitlin’s award-winning entries stem from the renovation of a 7,000 square-foot building that is now the home of Freedom Interiors’ offices and additionally serves as a Kimball showroom. 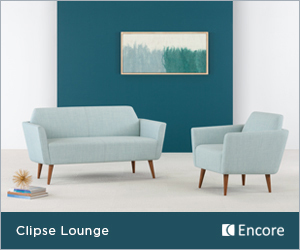 “For the renovation, we used CET Designer the same way we do with our clients – we modeled the building, space-planned the furniture, selected (and re-selected) finishes and ‘experienced’ our space via the software,” Kaitlin said. Fully immersed in the use of technology, Freedom Interiors offers clients a “Live Design” process that includes virtual reality so clients can experience their space and make design changes in real time. “This process has helped eliminate the guesswork on both sides and, ultimately, our clients are satisfied in knowing exactly what their space will look like,” Kaitlin said. Kaitlin’s own design journey began in college, but her passion for design goes even further back. 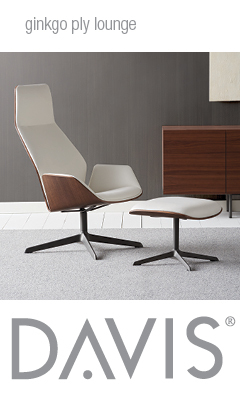 “I remember doing a career project in middle school about interior design (it was a sign! ), so it has always been an interest and a passion of mine. I’m especially interested in the psychological aspect of being able to influence how people use and experience a space. I’m a true believer that one’s surroundings having an impact on mood and well-being,” she said. Originally a journalism major at the University of Missouri, Kaitlin switched to interior design after realizing she wanted to express her creativity in a more visual, design-oriented profession. Upon graduating, she spent time in St. Louis and Kansas City working in residential design, knowing that eventually she wanted to get into commercial design – specifically in furniture or fabrics. Kaitlin currently lives in Kansas City and has been a part of Freedom Interiors for almost a year. When she’s not hard at work creating healthy workspaces, she’s likely crafting – often knitting or crocheting.